I saw these shorts at Urban Outfitters awhile back and have wanted to buy them for quite some time now. Then it hit me, why not just make my own? Including the shorts, this project only cost about $12! I'm all for saving a few pennies here and there. Here's how you can make your own..
Supplies: Shorts ( I thrifted mine), & lace trim. Pantry Supplies: Sewing pins, needle & thread and/or sewing machine. Begin by pinning rows of lace onto the shorts, going all the way around so that it covers both the front and the back. Sew each layer in place. My shorts have a zipper in the middle, so I simply wrapped it underneath the flap and hand stitched it in place. Continue until you've reached the hem of the shorts, and sew the last layer in place. 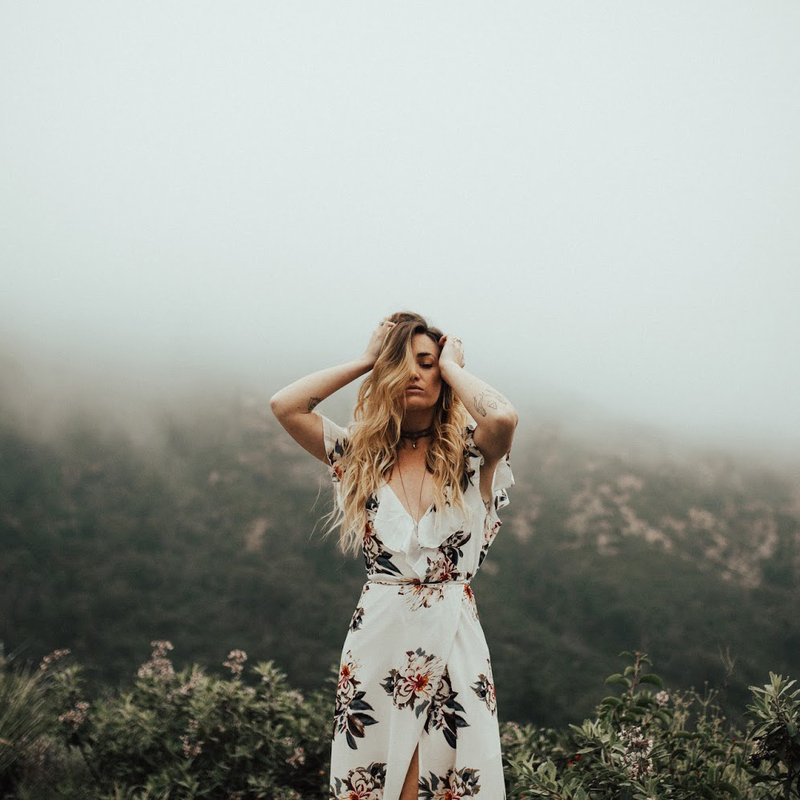 You're the winner of the Roots & Feathers Giveaway! Please email me at sincerelykinsey@yahoo.com to claim your gift. How amazing!!! 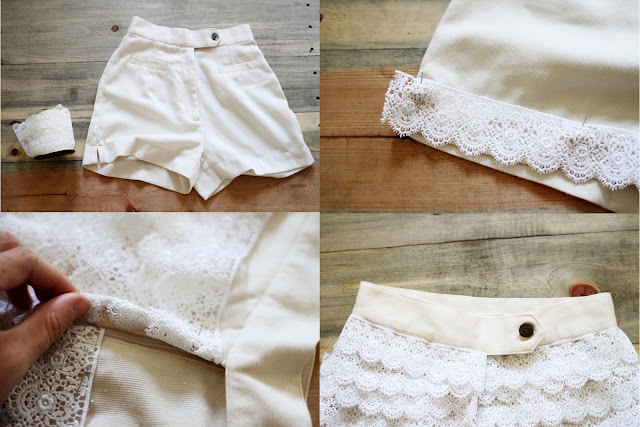 I was just about to donate a pair of boring white shorts I couldn't see wearing again, and this idea turning them into a pretty lace number is just beyond great! Thank you for this DIY!!! So making one for myself! I've seen a lot of these types of DIYs, but I think yours is the best one yet! Thank you so much this is awesome! 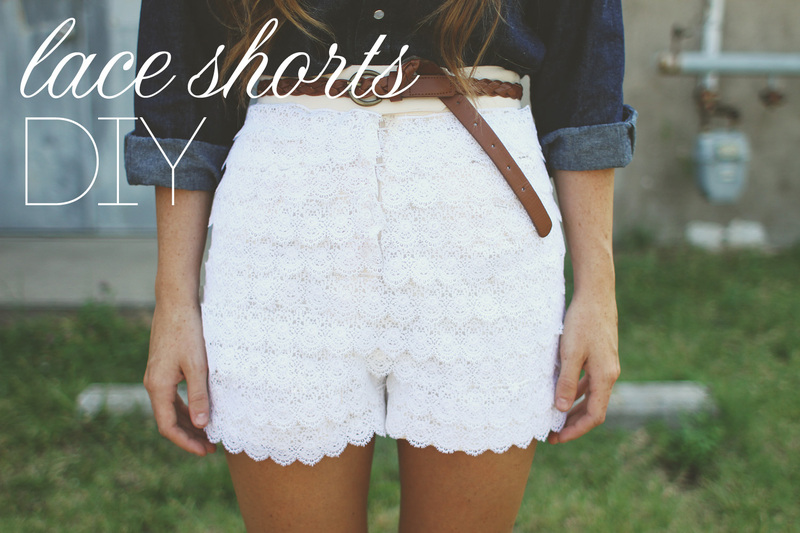 I am coveting a free people lace pair of shorts I can't afford, and I can totally sew in a straight line, so I actually think I can do this! Genius! These are SO cute. I really need to make them. I never would have thought about making them like that! Such a great idea!! I love DIY projects :) and so excited that I won!! What a great idea! I will be making these soon for sure. WOW they're so cute! And you pay so much for shorts like that in stores around here, so this is a great idea! They awesome! Want to make mine right now. Your tutorials are always the best! Thanks so much for all the work! :) I think these are one of your prettiest projects yet. Wow, they look better than the ones on the link! What a great idea! Totally one of those "Why didn't I think of that?" moments right now. Now if I can just get the motivation to pull out my sewing machine... overcoming laziness is the hardest part. Great idea! Loving the way you styled it too! Thanks for sharing! wow, what a simple and great tutorial! such a cute DIY! Urban Outfitters always does it right! SO cute! Seriously, I need to make a pair! I am so impressed you were able to do that. Wow. It looks great! Wow, those are seriously cute and I'm loving the high-waist line!! Love this. I think it may actually inspire me to start sewing! where did you get that much lace for so cheap? Hobby Lobby. They were having a sale too! - Kinsey. 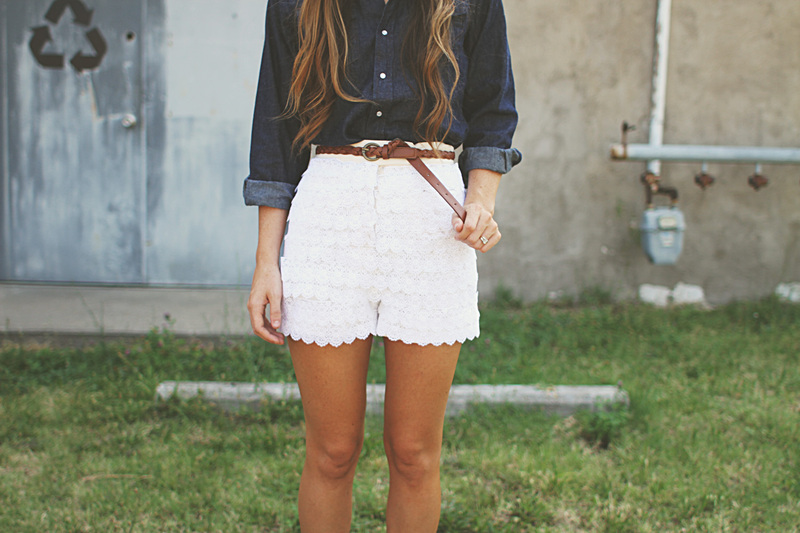 I've been wanting shorts like this for a while but haven't wanted to spend the money on them. Thanks for the tip! These are so cute! Love the tutorial. Adorable! What brand of shorts are those? These are so beautiful!! I've had my eyes on them for a while now, and now I can finally make them! Thank you for this fantastic tutorial! hi. what's the width of the lace that you have used? I used roughly 1 1/2 inch width lace. Hi I am very very new to sewing but if you're hand stitching these what kind of stitch is it best to use? I used just a basic straight stitch. So cute! How much lace did you buy? So cute! How much lace did you need? So cute! I want to make them in red! Oh my goodness these are beautiful! I'm definitely going to try this!